The Supermarket Syndrome is also known as Visual Vertigo Syndrome. This particular syndrome is characterized by vertigo, dizziness, unsteadiness or spatial disorientation by certain visual surroundings. This syndrome may occur if patients with existing balance disorders show high visual field dependence. In patients with visual vertigo probably have a reduced ability to resolve a sensory conflict. 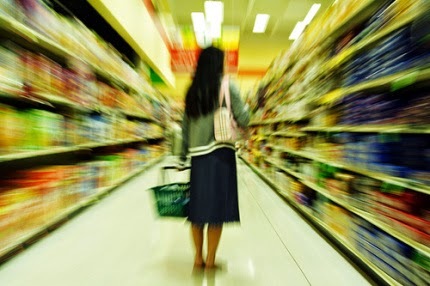 In a supermarket with its alternating lights, bright colours and confusing crowds of shoppers, patients who suffer from Supermarket Syndrome may loose their bearings and the suffer from the vertigo and other associated symptoms.